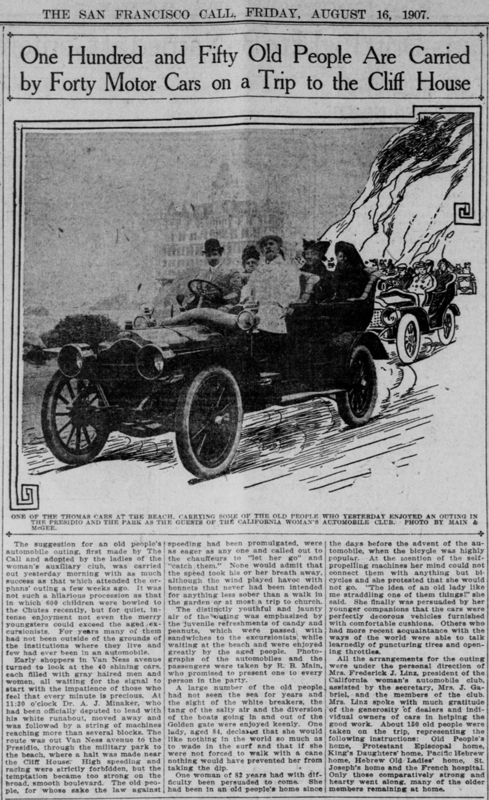 San Francisco Call - 4 March 1901. 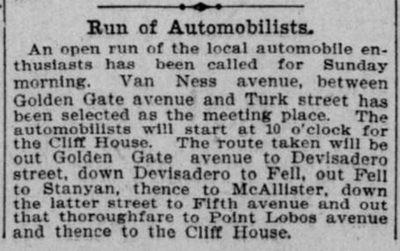 As far as we know, no photographs exist of the founding of San Francisco's first auto club. 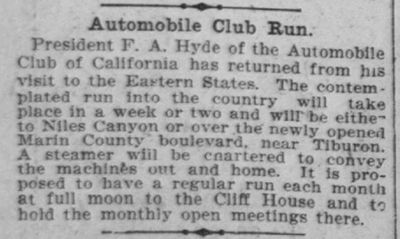 We know that the original members of the club met at the Cliff House from an article which appeared in the San Francisco Examiner on March 3, 1900. J.M. 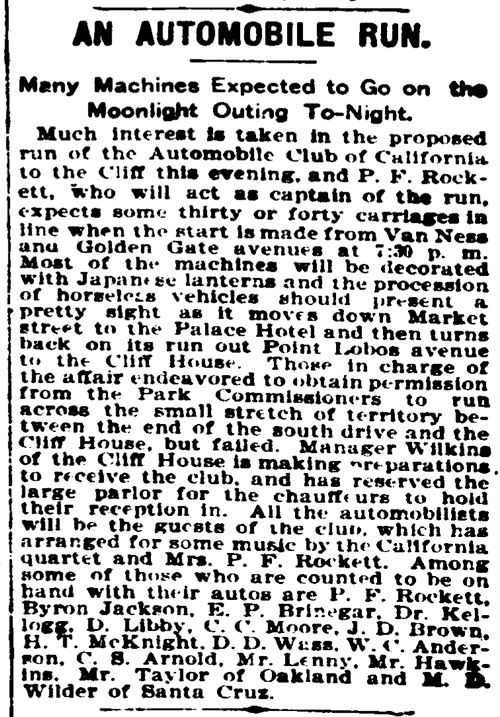 Wilkins, the proprietor of the Cliff House, was one of the founding members and offered his facility as a first meeting place. I note the picture of Mr. Wilkins on your website - a similar picture can also be found in the lovely book, "A Day at the Seaside: San Francisco's Sutro Heights, Cliff House and Sutro Baths," (p.44) You're probably already aware of this book - if not, the author is Ariel R. Okamoto and it's published by the Golden Gate Parks Association. Until your website, this was the only picture I'd seen of Mr. Wilkins. 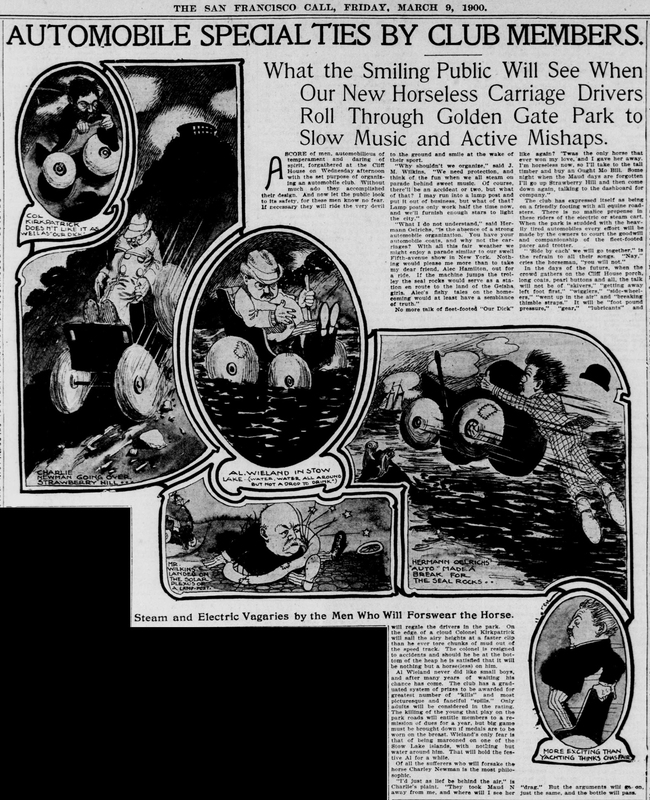 The article in the Examiner is entitled, "Will Introduce the Automobile,"
and only shows part of the page. It would not be suitable for reproduction. much like to hear from you.